We know that looking for a job is a rollercoaster ride. As a team, we love using the awesome power of technology to help match people to better, more fulfilling jobs and keep America working. Adzuna founders Andrew Hunter and Doug Monro met working at Ebay-owned Gumtree, a classifieds site in the UK, in 2005. 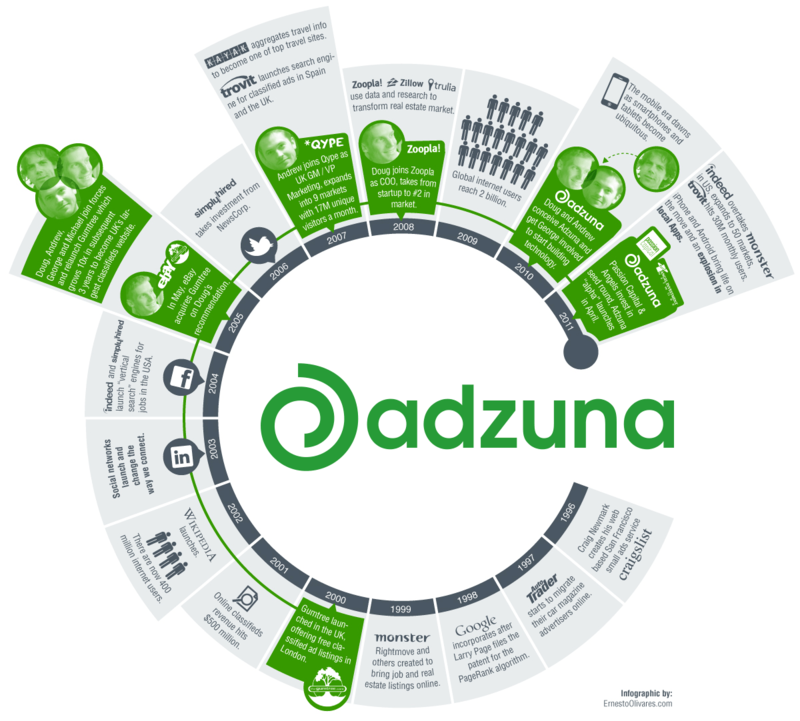 We stayed in the local internet space for the next 5 years with Qype and Zoopla but kept in touch and finally hatched the Adzuna plan in 2010 on the back of an envelope in a central London pub. The site went live in April 2011. We're based in leafy South-West London in UK.